WOW!!! There are no words I can use to describe this beautifully written song composed by Saif Adam and his colleagues, Abu Nadir & Dawud Abba, from the first time I watched it on YouTube few hours ago. From the singer’s energetic vocal to the lyrics and the music arrangement, everything seems to be remarkably well-fitted with one another. The result from his previous experience collaborating with Ed Sheeran, N-Dubz and The X Factor judge, Tulisa Contostavlos is clearly visible in Believe. Am I exaggerating? I don’t think so. 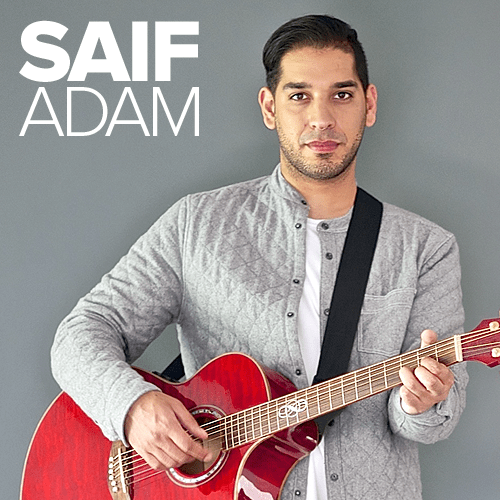 After watching his stage performances and live acoustic sessions, Saif Adam is THE NEXT BIG THING in the Islamic music industry after Sami Yusuf and Maher Zain, mark my words. According to an official source, Saif Adam debut album – “Heart of a Muslim” due to release at the end of May this year. For further information om Saif Adam and The Light Records, Visit saifadam & thelightrecords official website now!